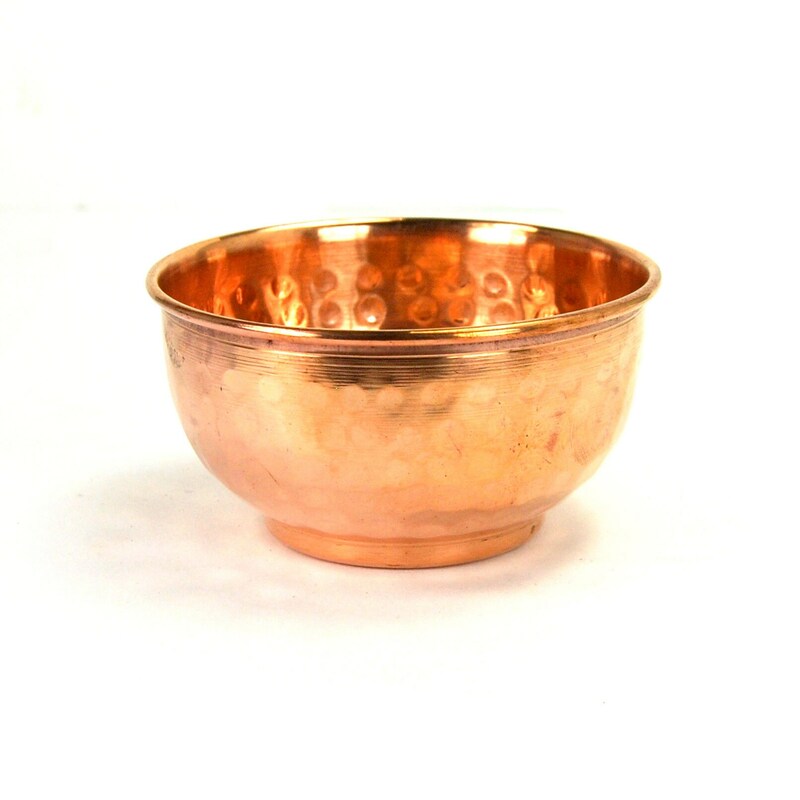 For your consideration is this solid copper Tibetan offering bowl. 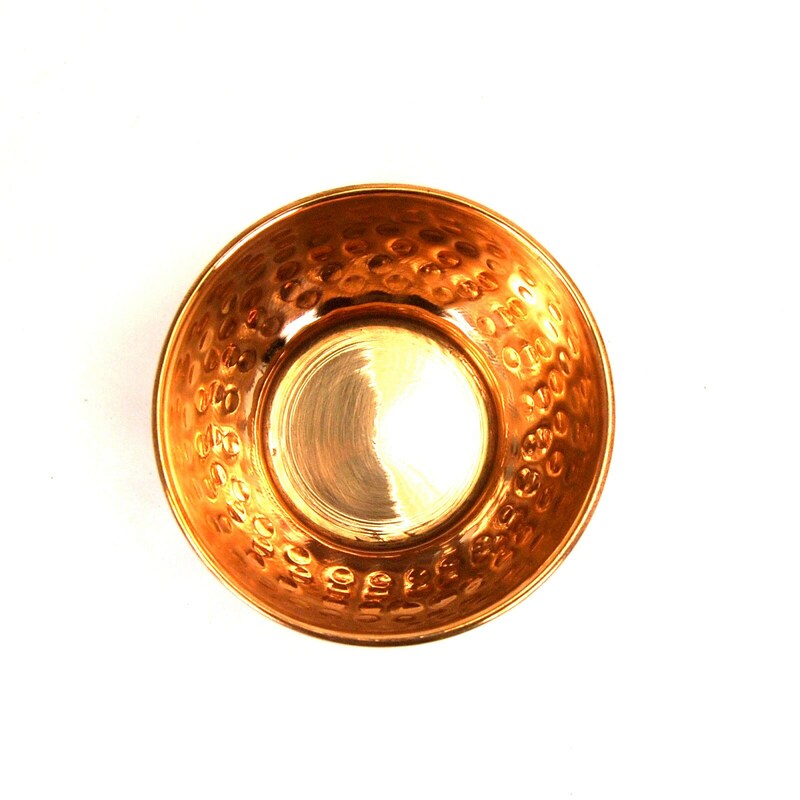 These can be used to make offerings of food, drink, flowers, what have you. They can also be used as incense burners if you fill them with sand. These measure 2 inches in diameter and have a hammered look to them.